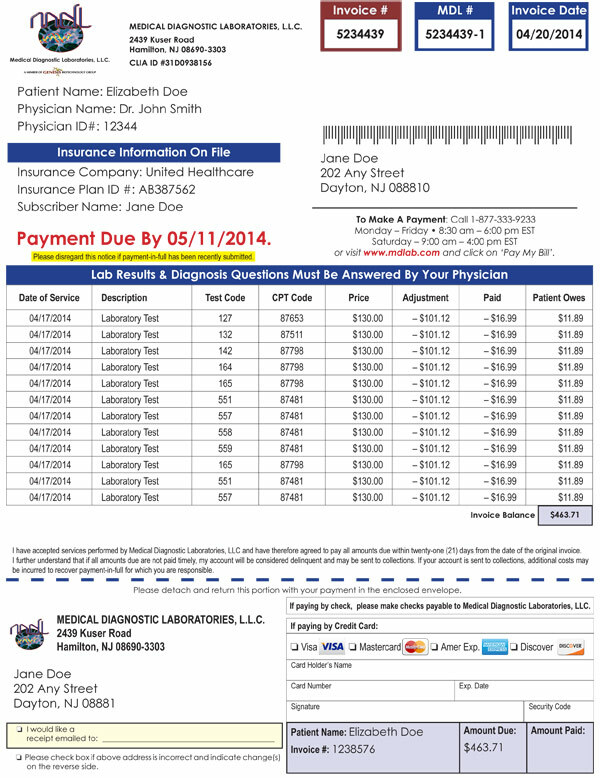 Pay My Bill | Medical Diagnostic Laboratories, L.L.C. Medical Diagnostic Laboratories, LLC for your convenience offers the option to pay your bill online. In addition, you can also update your current billing information. If you do not have your invoice number,please contact our Customer Service Department at 1- 877-333-9233 between the hours of 8:00am to 10:00pm EST. For complete hours, visit our contact page.